Kara’s primary role is to position individual advisors and the firm favorably. She strategically develops marketing strategies and tactics that will best promote the firm among its best clients, prospects and the community at large. She is also responsible for maintaining the firm’s financial records, as well as monitoring and processing compensation and broker commissions. Kara earned her Bachelor of Arts degree from Assumption College, Worcester, MA. After graduation, she began her career in financial services with MetLife where she was fortunate to be exposed to many sides of the business over six years. Kara has been recognized as a Leader’s Club Qualifier, and as a recipient of the Presidential Citation Award at the Agency Development Award level. 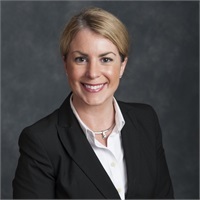 In addition, she is a recipient of the Certified in Long Term Care designation (CLTC), a course moderator for The American College, and has earned the designation of LUTCF (Life Underwriter Training Council Fellow) through The American College. She is member of the National Association of Insurance and Financial Advisors (NAIFA), the General Agent and Management Association ( GAMA) , and Women in Insurance and Financial Services (WIFS). Kara holds a Series 6 , as well as Life, Accident, Health insurance license in MA. She is a Registered Representative with Park Avenue Securities and a Financial Representative of Guardian.